A city is more than a massing of citizens, a layout of buildings and streets, or an arrangement of political, economic, and social institutions. It is also an infrastructure of ideas that are a support for the beliefs, values, and aspirations of the people who created the city. 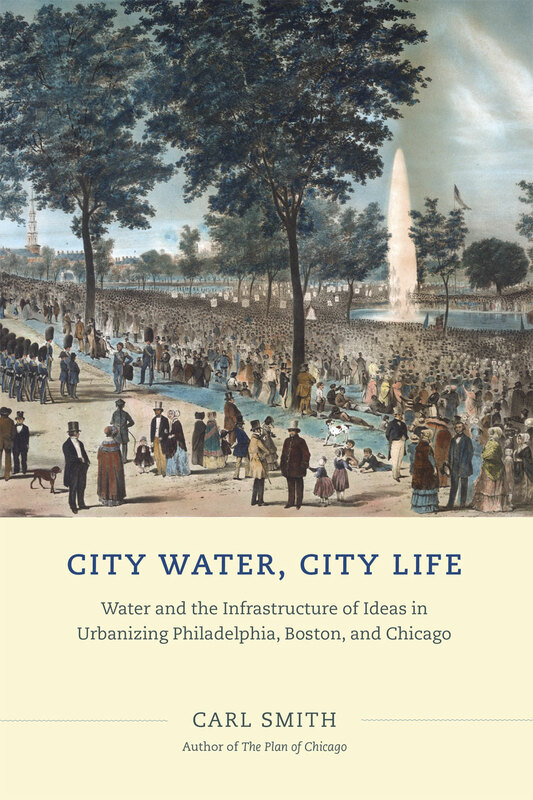 In City Water, City Life, celebrated historian Carl Smith explores this concept through an insightful examination of the development of the first successful waterworks systems in Philadelphia, Boston, and Chicago between the 1790s and the 1860s. By examining the place of water in the nineteenth-century consciousness, Smith illuminates how city dwellers perceived themselves during the great age of American urbanization. But City Water, City Life is more than a history of urbanization. It is also a refreshing meditation on water as a necessity, as a resource for commerce and industry, and as an essential—and central—part of how we define our civilization. "A fascinating history of the ideas about nature, health, citizenship, and time that informed the construction of some of America’s earliest and greatest water systems. By demonstrating that our urban aqueducts are built out of ideas as much as bricks and mortar, Carl Smith ensures that a simple glass of water will never seem so simple again." "A well-researched, engaging read. . . . Recommended." "This collective examination of three cities allows for a broader understanding of the meanings that American city-dwellers attached to their aqueducts, pipes, pumps, and faucets, and the water that these public works delivered."